Just when you thought that it had passed, Traveller’s Tales goes and saves the best for last. The second season of Lego Dimensions wraps up on September 12 with the release of five new sets featuring The Powerpuff Girls, Teen Titans Go! and Beetlejuice. 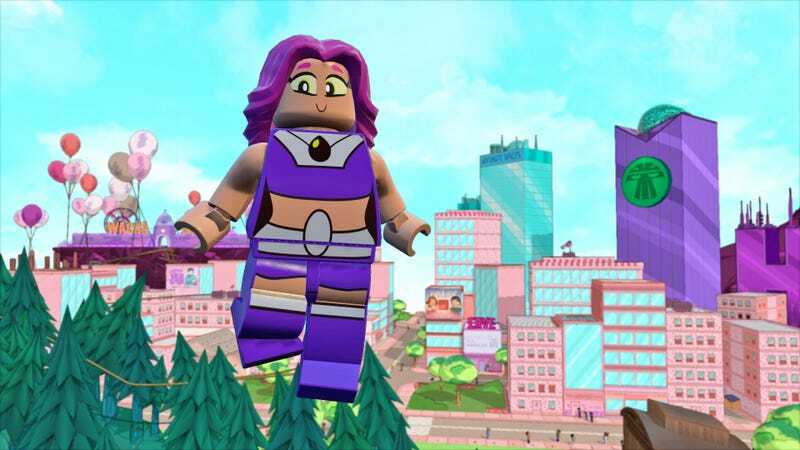 The introduction of three new properties to Lego Dimensions should finish opening up the game’s current crop of adventure worlds, giving new additions Bubbles, Buttercup, Blossom, Beast Boy, Raven, Starfire and Michael Keaton appropriate places to play. Teen Titans Go! gets two sets, a Fun Pack featuring Starfire, who is the fun, and a Team Pack featuring Beast Boy and his hot magic mama (not his actual mother). The Powerpuff Girls sets feature the three characters most likely to be in a Powerpuff Girls Lego set. Blossom and Bubbles come together in a Team Pack, while Buttercup rides solo. All five sets hit stores on September 12, wrapping up the second season of Lego Dimensions content. Will there be a third, or has the ride come to an end? I’m guessing we’ll find out soon enough.